VyprVPN who previously had some of the longest logging periods in the VPN industry have announced they are now a completely ‘No Log’ VPN service. The ‘No Log’ claim has been backed up by a publically published audit from security company, Leviathan Security Group. VyprVPN has been at the forefront of VPN services for a number of years offering an easy to use, well respected VPN service. Throw in some unique features such as their Chameleon VPN protocol that allows users to bust through restrictive firewalls in countries such as China and you’ve already got a pretty decent VPN service. One area which VyprVPN lacked in was their logging policy which we highlighted in our recent review. In the past VyprVPN was known to store logs of user activity for well over 30-days. This included metadata which is essentially when you connected, how long for and where. Truth be told, this information could pinpoint you to all your activities. While there may have been no record of what you did, the mere fact that it was you connected at the time automatically leads the conclusion that you were responsible for all the actions at that time. VyprVPN’s announcement that they are now retaining none of this information turns the service on its head and what was an already robust service has now muscled its way to the top of the bunch. Alluding to the fact there has been a monumental shift in what customers expect from a service employed to keep their private data, private. The VPN industry has been coasting in infancy for a number of years but now into the metaphorical adolescents, services such as VyprVPN are understanding both the responsibility of handling user’s data and their expectations. VyprVPN employed Leviathan Security a Seattle based company which works with ‘Information Security, Governance, Risk, and Compliance, Threat Modeling, Secure Development and Information Policy’ to give their ‘no log’ claims the once over. The 28 page audit which has been published by VyprVPN and you can read here allows both current and potential users to check over the credentials of the report. While much of the report is technical in nature it is summarised in the opening pages. The report claims the purpose of the audit was to establish that no personally identifiable information about users’ use of the VyprVPN service was ‘logged’. The conclusion of the report shows that there are no user logs retained. During authentication, connection data is logged but only for a short period of time which is not stored. A number of issues were raised by Leviathan Security during their tests which were fixed and are mentioned in the audit report. 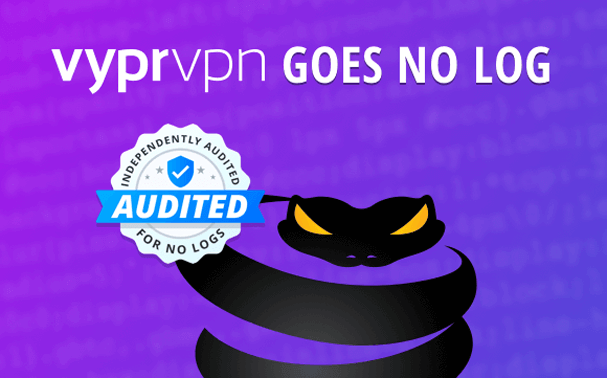 VyprVPN’s progression to a ‘No Log’ VPN service coupled with the outcome of the report is a positive step to ensure user’s connections remain as secure as possible. The service joins a small but exclusive club that includes other providers such as NordVPN and Tunnelbear who have also released types of audits in relation to the operation of their service. However, VyprVPN becomes the first to publically release an audit specifically in relation to their logging policy. Here at VPN Compare we applaud the release of the audit and we would expect to see other large VPN providers follow suit creating more transparency across the industry and ultimately making VPN use safer for the consumer at large.